From the dawn of time, the Knights Templar fascinates but despite everything being has heard may explain why this order and look for signs of its presence in Abbeville? Has it really been present in the city of Abbots? What was his legacy? The Order of the Temple was a religious and military order, opened on 13/01 / 1129. He actively participated in the battles that took place during the Crusades. To carry out its duties and to ensure the funding, he formed throughout Christian Europe and the West from a land grant known monasteries network "Commanderies"
In 1767, the Commandery is vacant. Indeed, the proprietor, Mr. Eddy Saint Germain Beaupré, Grand Cross of the Order of Malta, formerly Minister of Religion in the Netherlands died in Paris October 13, 1767 at age 88. The commander was then acquired to the Nation by the Vion Commander who demolished along with the Countess door. This hotel near the church Sainte Catherine would have served the laundry Temple somehow ... that's where they laundered their clothes and linens, while the Commanderie was for revenue collection and centralization . The Templars of Abbeville, twelve in number were there stop by the King. 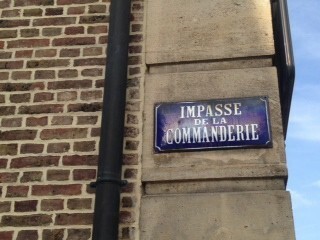 Three of them have been burned in the middle of the wheat market and other imprisoned in Paris. The Templars possessed another house outside Abbeville, to Thuison. 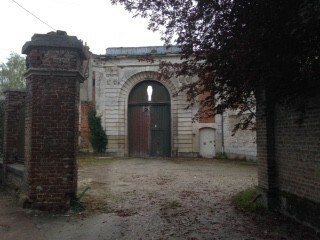 According to E. Prarond was their true home: the convent. She had a remarkable chapel, preserved by the Carthusians. The Knight Templars sold in 1301 to Guillaume de Macon, bishop of Amiens, this house to base a chartreuse in the glory of saint Honoré there. Originally, she understood thirteen cells intended for the members of a religious order, of whom the prior. She distinguished itself by Gothic architecture, bulwarks stocked with tours and sadness of her convents and enclosure. But she had a certain originality, situated in the middle of wood. On the hillside displayed due south, which dominated the convent, the chartreux cultivated vineyards and made some wine. A part of this suburb is even called today " street of the Chartreux ", " Vineyards ". The remarkable chapel is dedicated to Saint Marguerite. She was not included in the big fence. 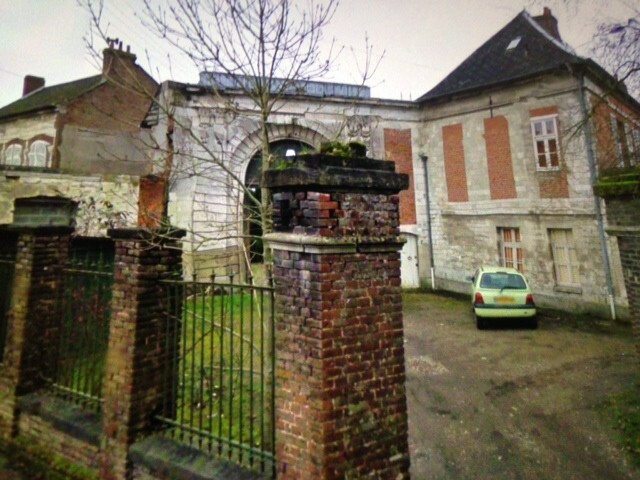 In 1767, the prior made bring down a part of the trees of saint Ribaud's wood to enlarge the monastery, but the monks did not take advantage for a long time of these new buildings(ships) because the chartreuse was closed in 1790 and its sold properties(goods). 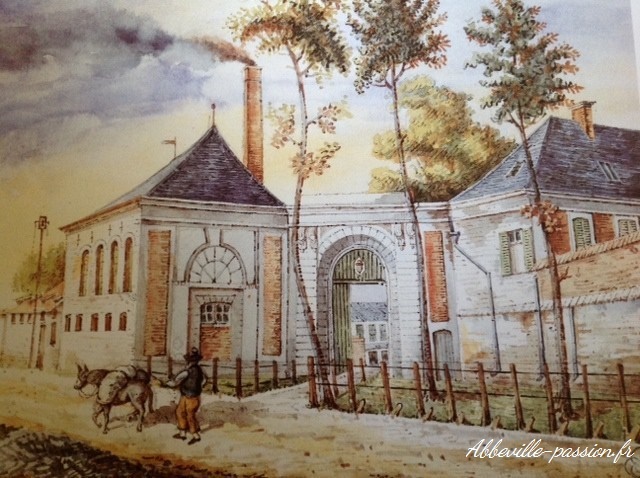 In 1791, the municipality of Abbeville acquires the monastery. In 1797, the monastery and the church were demolished whereas the farm, the farmyard and the chapel were kept. In 1804, the farm is resold. In 1811, buildings are acquired by the glass factory Rouxmesnil of Seine-Maritime which employed 80 workers. The bankruptcy of one of the partners in 1830 leads(drives) to the sale of this one. As for the refuge of the abbey of the Gard built in 1250 which Abbevillois calls the house of the Knight Templars, he was never occupied by the latter. 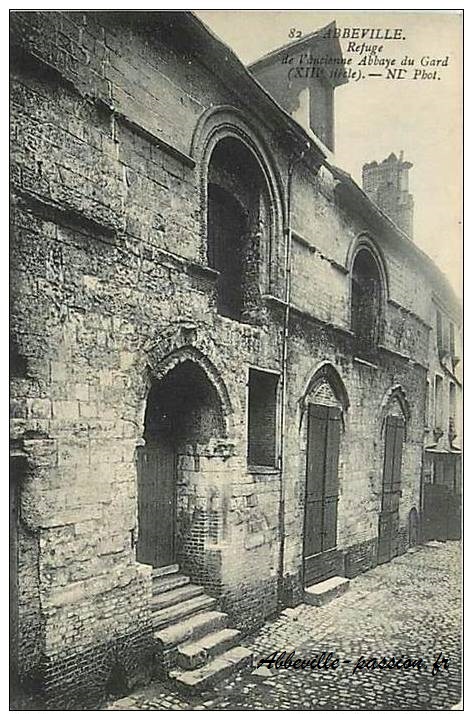 Indeed, this one was set up by religious Cistercians of the Abbey of the Gard (abbey situated on the territory of the current municipality of Crouy Saint Pierre, near Picquigny) at the level of the street Barbafust today disappeared.